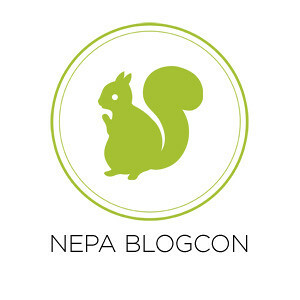 NEPA BlogCon is not-for-profit annual event for bloggers, social media mavens, tech ninjas, thinkers, dreamers, students, non-profits, and businesses to get together to share and learn about maximizing online communication. Whether its to build a professional brand through blogging, community building and social networking, or to make career connections through social media, the goal is to help attendees have the tools they need to make it happen through tracks in Marketing, Business and Technology. In one jam-packed, intensive yet casual fun day of sharing, you'll find great ideas from experts on topics like how to boost your brand, choose a platform, and why allocating time to blogging and social media is a must. Whether you're already a pro or have been contemplating making the leap for your company or yourself, you'll walk away with new networking contacts, big ideas and new ways to strategize for digital marketing success through communicating your mission, values and vision. Yep, I'm talking about NEPA BlogCon 2013. Expert presenters and illustrious sponsors will be announced soon so pony up and keep your eyes peeled for August 21st. Don't worry, it'll be good great, look at what attendees had to say about last year! There's no need to travel to a big city to attend a conference with all these bennies, when there's one right here in NEPA, where everything is more affordable. It's extremely reasonably priced at just $30 a ticket - because we believe everyone should have the opportunity to attend (and we're getting some really hot sponsors!). However, if someone out in Readersville needs help affording it, well.... talk to me, I'll see what I can do about a volunteer opportunity or some kind of trade. I have a lot of stuff that needs to be done, maybe we can work something out. 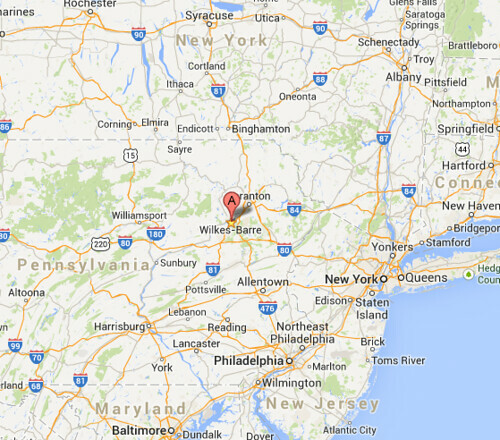 The big day is October 5, at Luzerne County Community College Educational Conference Center, on the outskirts of Wilkes-Barre, PA, at the foothills of the Pocono Mountains, in the Wyoming Valley, part of the northeastern US tri-state region. Besides benefiting the region, business community and individual attendees, NEPA BlogCon 20123 benefits Blue Chip Farms Animal Refuge. This is way at the top on my list of awesome! By the way, want to get in front of NEPA influencers?Sponsorship opportunitiesare still available. P.S. I would be remiss if I didn't let you know about the protein in this shake. That would be the other 3/4 of the Fearsome Foursome, Mandy Boyle@mandyboyle, Michelle Davies@mhryvnakand Leslie Stewart@darlingstewie. If you don't know them you really should.